Mobile Caravan Servicing & Repairs, Damp Testing Reports & Pre Purchase Inspection Services - Covering Crewe, Nantwich, Whitchurch, Northwich, Winsford, Middlewich, Sandbach, Holmes Chapel, Congleton, Chester, Stoke on Trent, Alsager, Market Drayton & surrounding areas of North Wales, Cheshire, Staffordshire & Shropshire. Member of M.C.E.A. (Mobile Caravan Engineers Association). Welcome to Utowpia Caravans, a fresh, forward thinking family run business based in the heart of Cheshire, which can offer fellow touring enthusiasts the chance of complete peace of mind whilst enjoying that much deserved break away with your family. 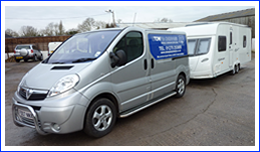 Our aim at Utowpia Caravans is to eliminate the hassles associated with main dealer caravan servicing. We take great pride in what we do and ensure that our service is delivered in a professional & friendly manner with the upmost care and attention to detail being taken. Utowpia Caravans understands the importance of safety whilst touring with your loved ones, realising that things can and ultimately DO go wrong, usually when you are far from home. An annual service from Utowpia Caravans can help minimise those worrying thoughts and prolong the life of your caravan. Protect your sizeable investment and in return Utowpia Caravans will ensure that costs are kept to a minimum, offering great savings against large service centres. 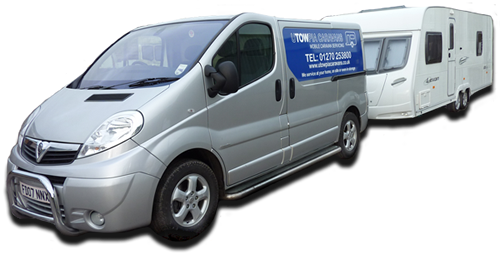 Whether you require a Full Service, Part Service, Pre-purchase Inspection, Repairs or even just a Damp Report, Utowpia Caravans will arrange for our fully insured, qualified mobile service engineer to fulfill your every requirement. Don't forget!! We come to you at home, in storage or even on site so whatever your needs Utowpia Caravans is here to help and make sure your holiday is trouble free. We cover the whole of the Cheshire area, including: Crewe, Nantwich, Whitchurch, Northwich, Winsford, Middlewich, Sandbach, Holmes Chapel, Congleton, Chester, Stoke on Trent, Alsager, Market Drayton & surrounding areas. Website designed & maintained by Microstart. Copyright © Utowpia Caravans Limited 2014. All rights reserved.